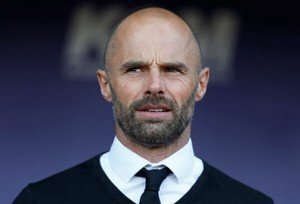 Rotherham United Manager Paul Warne used the old adage of having ‘many irons in the fire’ when he was asked about recruitment ahead of the new season. As we’ve said before the must is a goalkeeper and rumours have surfaced again about Marek Rodak, who was on loan to the Millers last season, saying that he could be close to coming back, presumably on another loan from Fulham. I also think that Warney wants to get any new players in as soon as possible so they can gel with the team and he can get them up to the fitness he expects from his players. I even think he would have liked them in before the fixtures are out, which is next week, but, then of course, we had a late finish to our season due to our Wembley antics. Perhaps we also need one or maybe two defenders in. Apart from the obvious two main injuries last season I think we were lucky in that department last season, if we aren’t as lucky this coming season maybe we need more players than I was originally thinking. I was talking to a fan of another local team this morning who expressed his delight that the Millers were back in the Championship. He also thought Paul Warne was the best Manager Rotherham had had for some time and doesn’t think we’ll have the same problems we had last time we were in the second level of English football. Nice of him to say so but I think we all know the Championship is going to be much more difficult than League One. Although I also think with the attitude of our management team and the ‘family’ of players we already have they will take the move up in their stride. I know that the first thing we have to do is cement our place in the Championship but I’m going to stick my neck out now and say we’ll finish, at worse, just below half way in the table. And that’s without having a drink!